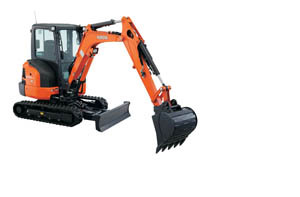 The Kubota 3-ton class KX033-4 excavator is designed for efficiency, built for stability and created for comfort. 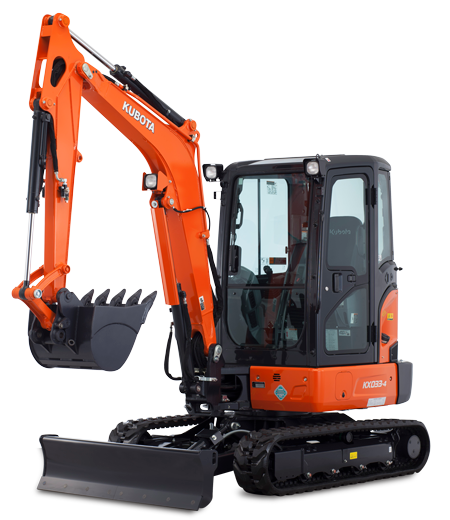 With a strong breakout force and exceptional power the KX033-4 offers a level of performance to handle a wide variety of tough excavating jobs with speed and efficiency. 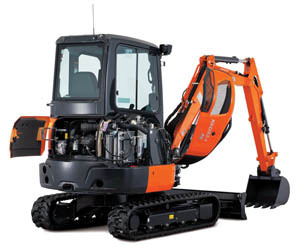 Powered by a Kubota 24.8HP Tier 4 engine for reliability and to maximise digging and lifting performance. 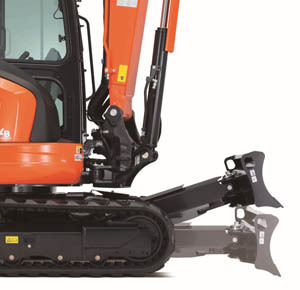 Powerful bucket digging force (3694kg) with a well balanced arm and bucket to allow for faster, deeper (3210mm) and efficient dig in the toughest of conditions. Convenient proportional auxiliary flow which can be programmed with up to five different oil flow rates for specific attachments on a new digital meter panel. Easy maintenance as the engine is organised with easy access to primary engine components. Durable steel rear and side panels open easily for quick inspection and routine maintenance to keep macine in peak operating condition. Accumulator helps to change hydraulically driven attachments by clearing residual pressure in the hydraulic lines. Auto idling system automatically reduces RPM’s when control levers are left stationary, reducing noise and increasing cost savings. Third line hydraulic return allows oil to flow back to tank without running through the control valves when working with one way hydraulic attachments. This contributes to less oil contamination and greater oil flow efficiency. 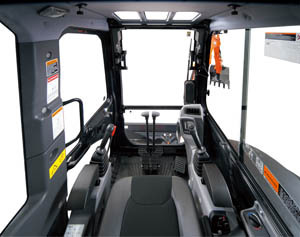 Wider entrance with a spacious operating area for more leg room to enhance comfort for the operator. Enhanced air circulation resulting in a powerful air conditioning and heating system with six vents position throughout the cab.